I am trying to record the sound of my eletronic drums Alesis DM6, which has an output port(jack connection), connecting it to the headphone/mic input from my laptop, which has an HDA Intel PCH onboard sound card. The problem is: the drums are not recognized as an external mic (as I imagine they should be) by Ubuntu, but as headphones. In System Settings > Sound, there is only the internal mic in the list of input devices. I think the problem could be related with the fact that the drums send no other information besides the sound stream itself (maybe it should send also some information useful for the driver to recognize it as a microphone/input stream). I've already tried using pavucontrol, audio-recorder, audacity, alsamixer, but none of them gave me any good result. Do you have any ideas of how could I manually force Ubuntu to use the data from the headphone/mic port as an input audio stream? What you need is an adapter. The jack for your drums has two or three connections depending on whether it’s mono or stereo. The headphone/mic input on your laptop four connections. Not the answer you're looking for? 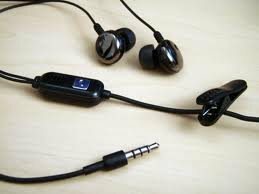 Browse other questions tagged sound pulseaudio alsa microphone audio-recording or ask your own question.